On Australia Day I’m racing at the Moonee Valley night meeting. Race 3 is a BM78 for fillies and mares over 955 metres, my ride here is Sister Kitty Mac who is trained by Symon Wilde. This race is a part of the 955 second challenge series. This mare has been racing in consistent form and comes into this race with the minimum weight of 55 kilos. She is a mare who races on-pace and from an outside draw will need luck in running to produce her best. Race 4 is the Group 2 Carlton Draught Australia Stakes over 1200 metres run under weight for age conditions, my ride here is Brave Smash who is trained by Darren Weir. This former Japanese galloper is a 5 year old entire by Tosen Phantom and is raced by Australian Bloodstock. He has never finished out of the top 3 placings since his arrival to Australia and at his last start finished third in The Everest. He has drawn a nice barrier in two here and although racing first up his form is superior to his rivals in this small but competitive field. He is an exciting horse going forward into the Autumn and I am looking forward to riding him for the first time in this event. 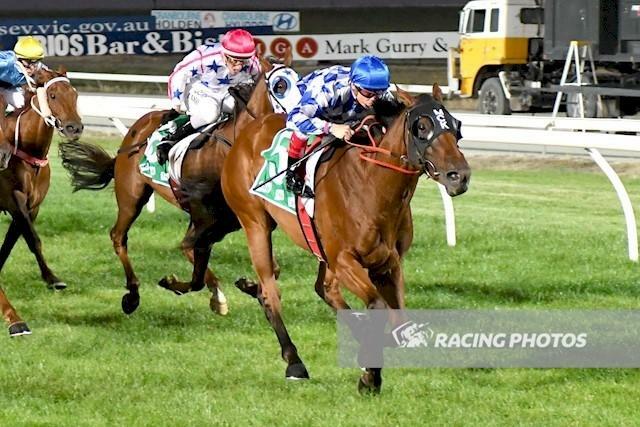 Race 5 is a VOBIS Gold race over 1500 metres that is run at set weights and penalties for three year olds and upwards, my ride here is Amadeus who is trained by Mick Kent. He put in a good effort at the same course and distance last time out and has had a freshen up leading into this assignment. He has had the benefit of a recent jumpout to help return him to peak fitness given he is 5 weeks between runs. His effort two starts back where he beat subsequent Flemington winner Willi Willi was very good and is proving to be a strong form race. His most recent run at Moonee Valley on December 23rd saw him beaten by another in-form horse in Widgie Turf. This is a very competitive race where he has drawn a good barrier and looks to be one of the main chances. Race 7 is the BM78 LF Sign Group Summer Stayers Series Heat 1 over 2500 metres, my ride here is Raindrops On Rose who is trained by Hayes, Hayes and Dabernig. I rode this mare to victory three starts ago at Mornington where her effort was very good. Her next start at Flemington was a forgive run where from an outside draw she went forward and tired over the concluding stages. Her next start saw her narrowly defeated when stepping up in distance to 2400 at Sandown. She steps up slightly in distance again here however having drawn a wide barrier will need luck in running throughout the early stages of the race. She has the benefit of carrying the minimum weight here and with some luck can run well again. Race 8 is the BM70 After The Last At Legends Summer Sprint Series Heat 2 over 1200 metres, my ride here is Trojan Storm who is trained by Tony McEvoy. I rode this gelding to victory last start at Ballarat where he had a tongue tie added to his head gear for the first time. He had an economical run in transit on the day and I was impressed with the way he accelerated to the line. Provided he has taken good confidence and natural improvement from that win I expect him to handle the step up in class and look forward to seeing how he measure up against BM70 grade. Tonight I’m racing at Racing.com park, Pakenham. Race 3 is a maiden plate over 1200 metres, my ride here is Esplanade who is trained by James Cummings. This gelding by Bernardini races in the famous Godolphin blue colours. He’s a lightly raced horse having had two career starts to date. 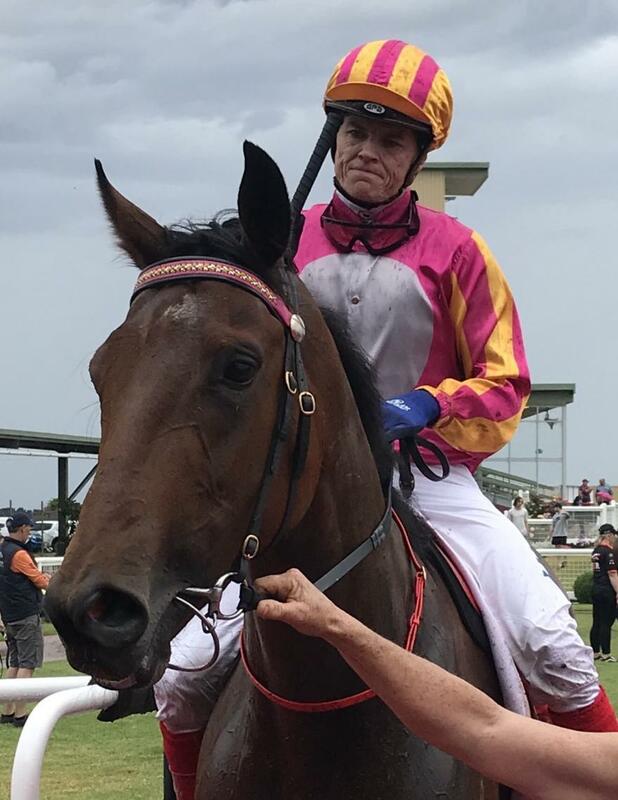 His first lifetime start saw him go forward and make all the running before tiring over the concluding stages on a heavy track at Pakenham in May over 1400. 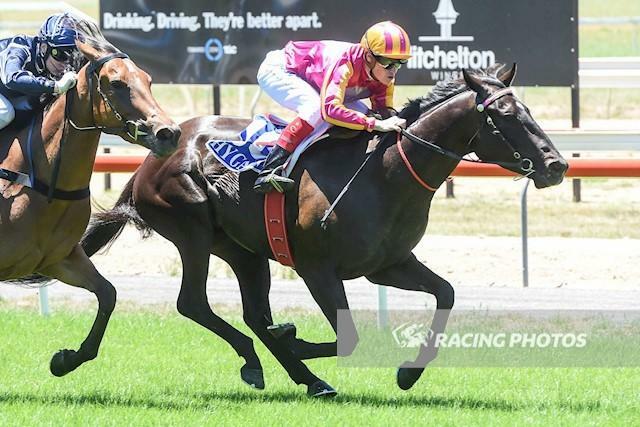 His first up run this preparation saw him put in a pleasing effort at Geelong on January 11th where from a wide draw he settled off speed and was able to finish off strongly over 1130 metres. He has come up with a favourable draw here where he steps up slightly in distance and has the addition of blinkers to his head gear for the first time. This race looks a suitable assignment for him to break his maiden status. Today I’m racing at Ballarat where it’s a twilight meeting. My ride in race 3 is a two year old colt by I Am Invincible called Ben Hercules for the training combination of Hayes, Hayes and Dabernig. He’s had two jumpouts at Werribee and Flemington and looks to be a horse that appreciates a good track. His recent jumpouts suggest that he has good natural speed and from an inside draw here I am looking forward to seeing if he can bring his trial form to the races. Today I’m racing at Flemington where we are on a good track with the rail out 9 metres. Race 1 is a BM84 handicap over 1800 metres, my ride here is Willi Willi who is trained by Craig Widdison and races in the colours of John and Helen McPhee. I’ve ridden this horse previously last season and was really impressed with the way he performed. He felt like a horse that would have a lot of upside and would improve with maturity. His runs to date this preparation have seen him closing off really strongly and he now steps up in distance sharply to the 1800 which looks like it will benefit him. Based on his recent racing he looks well placed and the one to beat in this grade. Race 2 is a handicap over 2500 metres, my ride here is Serenade The Stars who is trained by Peter Gelagotis. This imported gelding who is by Sea The Stars races in the colours of OTI Racing, managed by Terry Henderson. Two runs ago he was very disappointing when starting favourite at Caulfield however with the addition of a tongue tie to his head gear his trainer was confident he would turn his form around and this saw him win in good style on Boxing Day. He meets a similar field here and with the confidence he has taken following on from his win, combined with a slight step up in distance he should be able to hold his winning form. Race 3 is a 3 year old BM70 handicap over 2000 metres, my ride here is Anneka who is trained by Henry Dwyer. 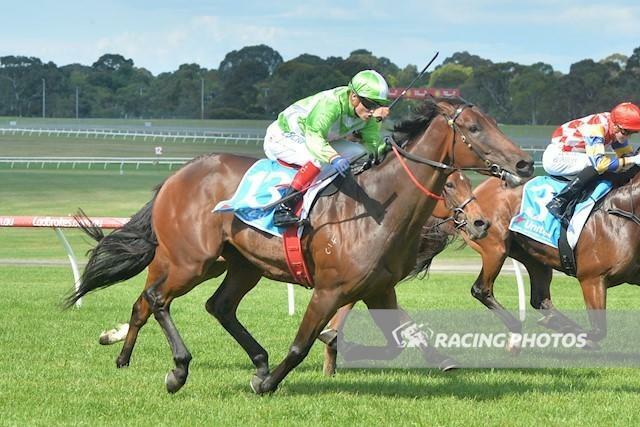 I have ridden her at her past two runs and she won her maiden convincingly over the same distance at Mornington last start when she went forward and made all the running. She is an interesting filly who is typical to her High Chaparral breeding and is highly strung and needs help to be kept focused while also staying calm. She is very much a staying type of filly who I am looking forward to seeing how she measures up in this grade having taken benefit from her recent racing. Race 4 is a fillies and mares BM84 race called the Dolly’s Dream Handicap over 2000 metres, my ride here is Stormy Shore who Is trained by Ken Fythe. This race is named in honour of Amy Dolly Everett to help raise awareness of bullying and of the Dolly’s Dream foundation. I’ve ridden this mare in her past two runs and I was really pleased with the way she responded to the addition of ear muffs as she relaxed well and finished off much better last start. She seems to meet a similar field here once again and from a favourable draw in gate 3 I expect her to gain an economical run in transit and be competitive once again. Race 5 is a BM70 handicap over 1600 metres, my ride here is Tan Tat Trusting a 4 year old gelding by Trusting who is trained by Tony McEvoy and owned by Mr Tung. I’ve ridden him once last season where he was successful in winning his maiden over 1600 at Sandown. He races second up here and with natural improvement and a favourable barrier draw I expect him to be one of the main chances. Race 6 is the njt20cricket.com.au BM84 handicap over 1200 metres, my ride here is Handsome Thief who is trained by Darren Weir. This 5 year old entire is by Shamardal and raced by prominent owner Paul Fudge of Waratah Thoroughbreds. He has been a very consistent horse that has only been out of the top 3 on one occasion in his career to date. 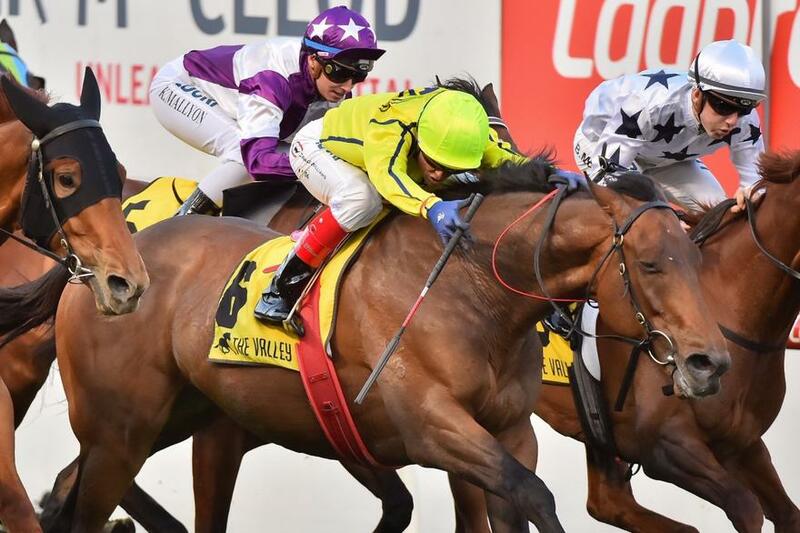 His first up effort at Caulfield was pleasing and although he has come up with a wide barrier draw here track conditions may play in his favour depending on how the track is racing. He has given me the feel of a highly promising sprinter and for him to live up to that expectation he should be very competitive here. 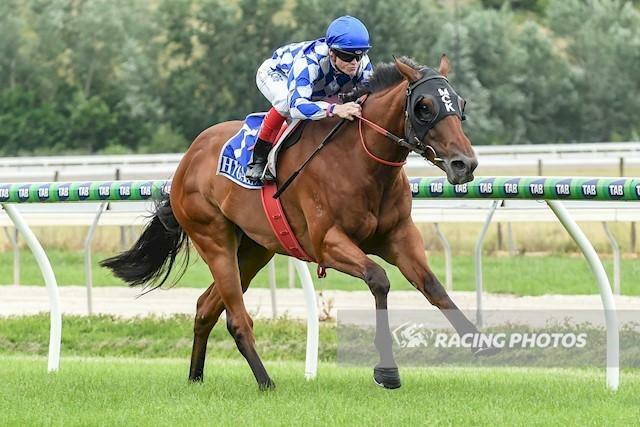 Race 8 is the Kensington Stakes over 1000 metres at Listed grade, my ride here is Thermal Current he’s by Exceed and Excel and wears the Contract Racing colours. This gelding has been racing in consistent form at his past four runs this preparation and has blinkers reapplied to his head gear. He meets a highly competitive field here including the former Hong Kong galloper Amber Sky and the Group 1 placed Lord Of The Sky. If the blinkers going back on can help him improve slightly he is going to be very competitive. This afternoon I head to Caulfield where it is the first of the city twilight Wednesday meetings. The rail is out 12m so it will be interesting to see how it races. I start in race one, with IT’S LA PREMIERE for Luke Oliver. I was impressed with his debut performance and I think it will be a strong maiden form race. He has come up with a wide barrier draw and if he gets luck from there I would expect him to improve from his first start and be one of the main chances. DAMASCUS DAME is my ride in race two, for Henry Dwyer and he wears the Price Bloodstock colours. I trialled her before she resumed this preparation and thought she was going well and then she was very dominant winning her Maiden. She comes into this race second up with confidence and steps up slightly in trip but she was very strong through the line, so it should benefit her. She has drawn a wide barrier so she will need luck but if she doesn’t have to do too much work she will take a lot of beating. In race three, I ride PERSIAN EMPIRE for Trent Busuttin & Natalie Young and he wears the Ultra Racing colours. He is a 3yo taking on the older horses as he did last start over an extended trip. He has had a freshen up, drops back in trip, has drawn a nice gate and he has nice ability. He seems to make his own luck by putting himself on the speed. I’m looking forward to see how he has come back and he should take a power of beating. VILLA ROSA is my ride in race five, for Aaron Purcell and she wears the Pope Racing colours. I was really pleased with her return to form last time. She now steps up slightly in trip and there does look to be good pressure, so that should suit. She can get keen and want to get the job over and done with quickly but so if she relaxes, I expect her to be very strong late. In race six, I ride CORAM for Robert Hickmott. He is a horse that has been very consistent through his whole career but he only wins sparingly. I rode him at his last start and I liked the way he closed off on a day when it was hard to make ground. He’s drawn a middle gate and there doesn’t look to be too much pressure on paper. On his best form he will give this race a shake. LET’S GO TO RIO is my ride in race seven, for Henry Dwyer and he wears the Price Bloodstock colours. He has come up with a very wide barrier draw, so it will be interesting to see what my instructions are but on his best form, he will be very competitive in this. In the last race, race eight, I ride NEAR QUEUE for Dan O’Sullivan. She has been a very consistent mare this preparation and now she steps out to the 1600m for the first time. After her last performance which was very pleasing in what looks to be a strong form race, the extra distance shouldn’t be a problem. She has drawn a nice middle barrier and in this even race, with luck in running, she can win. Today I’m off to Ballarat. There was a meeting here on Sunday and the rail is in the same position as it was on Sunday, so it will be interesting to see how the track plays. I start in race two, with ICE HUNT for James Cummings and he wears the Godolphin colours. He has only had three starts for two seconds and a fourth. He is back from a five-month spell and his form is extremely strong. He has jumped out nicely at Flemington leading into this and I was happy with his performance. I’m looking forward to hopefully putting a win beside his name. VERANILLO is my ride in race six, for James Cummings and he also wears the Godolphin colours. He is a 3yo taking on the older horses and if you look back through his 2yo form, he is far superior to these horses. He had one run in the Spring when not beaten far in a Group 3 race. He has jumped out nicely for this first up run and I expect him to be the horse they have to beat. In race seven, I ride TROJAN STORM for Tony McEvoy. He has only had one run for the new stable and it looks like he will be vastly improved by that performance as he got tired late. He has come up with a favourable and economical draw where he should get all the favours and on his best form he should be one of the main chances. I start in race one, with VIVRE LA VIE for David & Ben Hayes & Tom Dabernig and she wears the Love Racing colours. This is a field of first starters and my filly has trialled up nicely, has plenty of experience and looks very professional. If she brings that to the races, then she will take a lot of beating. SHOOTOUTATDAWN is my ride in race two, for Wendy Kelly. I rode her when she resumed this preparation when she was slightly disappointing. I did trial her twice coming into that race and I felt her race performance didn’t match her trial efforts, so I know she has more to give. The winner of her last race has franked the form by winning again in town. She steps up in trip which will be a benefit and if she finds her right form she will be winning this race. In race five, I ride NAVITA for Brett Scott. She has been ultra-consistent and comes into this race with confidence from her last start victory and she has won here before as well which is a positive. She is slightly back in trip, races close to the speed and if she doesn’t have to do too much work from an outside draw she will take a lot of running down. OCEAN MAGIC is my ride in race six, for Shane Nichols. I did ride her a 3yo in her last preparation and she was competitive in strong fillies grade. She has had two runs this time in and I’m looking forward to see how she has matured and come on as a 4yo. She has drawn favourably and if she finds her best form she will be competitive. In race seven, I ride DOMINO VITALE for Colin Little. I won on her twice last preparation and have also ridden her at both starts this time in. First up, it was far too short for her and last time she was good despite not having any favours from the wide draw and if she brings that same performance here, she will be winning. I start in race one, with FAKE for James Cummings and Godolphin. He has had three starts and has been competitive in all three runs. At his latest, he did finish second last but wasn’t beaten very far. I rode him on that day and he was a complete forgive run as he was in restricted room for most of the race. He has come up with barrier one but the barriers are in the middle of the track for the straight races. Usually low draws are a disadvantage down the straight but it will be interesting to see how the track walks and plays. With his experience and my experience on him, I expect him to be very competitive. PRETTY PUNK is my ride in race two, for Leon MacDonald & Andrew Gluyas. She had excellent form over staying distances as a 3yo and this preparation she has been very competitive getting up to her right distance. At her most recent start, she was down in grade and dominated a small field. She comes into this with confidence, an inside barrier and on the minimum weight. She is going to take a lot of beating in this small and competitive race. In race three, I ride SAYED for Chris Waller. This American bred horse was extremely consistent last preparation. After his win at Sandown, he went on his winning ways back in Sydney. He gets out further in trip but his first up form has been very solid as he has only been out of the top three on one occasion. He has a nice inside barrier draw, had a couple of trials and is only 2.5kgs off the minimum and I expect him to be very competitive. ZELSIGNORET is my ride in race four, for Darren Weir and he wears the John O’Neil colours. She has had three runs this time in and looks to be building to a win and she steps up in distance which looks to be to her advantage. She does get back in her races and needs a bit of luck. If the track is playing fairly allowing horses to close off, I expect her to be finishing off late in this very competitive race. In race six, I ride SEARCH SQUAD for Doug Harrison. He is coming right back in class as he competed well in Group 3 company last start. He does race well here and has come up with a nice middle barrier draw and if he finds his best form, and runs up to his last run he will take a lot of beating. 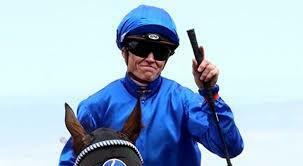 LITE’N IN MY VEINS is my ride in race seven, the Listed, Chester Manifold Stakes for Aaron Purcell. He is having his fourth run in Victoria and his only disappointing run was two starts ago when he pulled up with issues. If he runs up to his other runs and has luck from an outside barrier draw, he is the horse they all have to beat. In race eight, I ride DEMONSTRATE for my father Allan & brother Jason and part-owned by my wife - so the pressure is on. This is his second run for the stable and the ear muffs have been taken off. He has jumped out nicely in preparation for this and he should make his presence felt in this competitive event. In the last race, race nine, I ride GOGO GRACE for Leon MacDonald & Andrew Gluyas. She hasn’t been out of the top two in her three runs this time in but she is a horse that I will have to work closely with as she can get very aggressive. Sometimes she walks out of the gates and other times she takes charge so it will be important to get to know her for the five minutes I have with her before the race. On her best form and if she races nicely for me, she is going to take a lot of beating in this girl’s race. After a successful partnership of 12 years with my racing manager Mark Guest, I feel that the time is now right for both of us to explore further opportunities separately in 2018. Success at any level is not a solo performance, and to that end, I wish to thank Mark for all he has done for my career. We have agreed that Mark will continue to book my rides up to the 20th of January. I wish Mark every success in future. I start in race one, with STORMY SHORE for Ken Fythe. I did ride her last time and she isn’t straight-forward and is quite competitive. I thought she was outsprinted but stayed on nicely and she does drop nicely in weight. She has come up with a nice barrier draw, steps out in trip and has the addition of ear muffs for the first time in the hope she can settle in the run allowing an acceleration at the end. This is an extremely competitive race despite the small field and on her best, she will make her presence felt. MAGNESIUM ROSE is my ride in race three, for Matthew Lindsay. She is only lightly raced and hasn’t finished further back than third. She comes back slightly in trip from her last outing and she has come up with a middle barrier draw. It is a small but extremely strong field but she looks like she is very capable of going through her grades. This will be a good guide of where she will be through the Summer/Autumn months. In race six, I ride DOMINO VITALE for Colin Little. I have ridden her to two victories in the past and also rode her last start when she resumed over 1200m. She now steps sharply up in distance to her favourite trip that has seen her win five times. She comes in against the males with a light weight and she does like to race forward and have room in her races, so an outside barrier will give her best opportunity to find her favourite position without hopefully having to do too much work. If she finds her right form, she will be very competitive in this race. MANOLO BLAHNIQ is my ride in race seven, for Tony Noonan. I had my first ride on him last time in an Open Handicap when he closed off well and was beaten less than a length. Since then, I have galloped him on two occasions and he is back into his right rating race. He is a horse that has given me a feeling he is going to get a lot higher in the ratings and it would be nice to be able to win his second race. This looks a nice race for him to be able to do so. 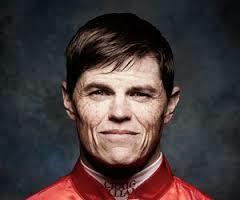 In race eight, I ride I’M ABLAZE for Wendy Kelly. I was expecting a better performance first up as I had trialled him leading into that run and although he did run well, he didn’t give me the feel he had in his trial. He now steps to 1400m at a track and distance that has seen him successful before. If he finds his best form, he is going to take a lot of running down. In the last race, race nine, I ride MOGADOR for James Cummings and Godolphin. He resumed last start for a really nice return when he raced in restricted room and only got clear running late. If he has trained on and they can make ground from back in the field, I expect him to run home over the top of them. This is a very competitive race but I believe he can get to a higher grade, so he should be winning this. I start in race two, with DRAMATIST for Robert Smerdon. She has started favourite at both her runs and wasn’t beaten far on both occasions. She comes into this with a favourable draw, is back 100m in trip and she looks like the horse they all have to beat. LAST LIGHT is my ride in race three, for Mathew Ellerton & Simon Zahra. She started favourite at her first start where she led and was disappointing but four horses have come out of that race and won since including one at Group level. When she resumed she ran behind a horse who then won in town. At her latest start, she made all the running but was beaten five lengths. She comes up with a nice barrier and third up I would expect her to take a lot of beating. In race seven, I ride VALENTE for Robbie Laing. He resumed this preparation on soft ground where I partnered him over the same distance at Pakenham. The winner of that race has subsequently won at Saturday metro level, franking the form. He has drawn wide and I feel that he is still learning his craft and if he has luck from the barrier, he will be there for a long way. In the last race, race eight, I ride SHALLOTTI for Wendy Kelly. He was successful on debut at Seymour and even though his margin was small, I felt he had a lot more to offer. He now steps up in grade and takes on some seasoned performers. He comes into this as the least experienced runner but has a good draw and with his ability I expect him to make the step up in grade. I start in race one, with KAECILIUS for Robert Smerdon and he wears the Paul Fudge Waratah Thoroughbreds colours. This Shamardal Colt is a Northern Hemisphere 3yo so it means he just turned three a few days ago, so he has a six-month growth disadvantage to the other horses. I haven’t been on his back but I have seen him trial on two occasions. This race doesn’t look overly strong and it will be interesting to see where he finds himself going forward. MARCHING ON is my ride in race six, for Mick Kent. I’ve ridden him three times which includes his last two starts that he has won. He stepped up to the 2080m last time where he won in good style. He goes to 2100m which is no problem but he has the impost of 60.5kg on his back. If he has trained on and with confidence, this is the next stepping stone for him. It is difficult for a horse to win three races in a row but he looks like a horse that can do it. In the last race, race eight, I ride LUCKY PROSPECTOR for Robert Smerdon and he also goes around in the Paul Fudge Waratah Thoroughbreds colours. After winning last preparation, he had six months off and has had two runs back this time in. I saw significant improvement from his first up to his second up run. He now steps out to a more suitable trip, has drawn a favourable gate and if he finds his best form he will be competitive in this. I wish everyone a safe and successful 2018. I start in race one, with CROSSING THE ABBEY for Tim Hughes. She had one start last preparation when she finished fourth at the course and distance in the Maribyrnong Trial. I had trialled her leading her into that race and she is adaptable on top of the ground as well as soft ground. She has had the experience of running down the straight and she has trialled against the older horses in preparation for this. She is going to take a lot of beating. RAINDROPS ON ROSES is my ride in race four, for David & Ben Hayes & Tom Dabernig. I was successful on her last start where she utilised a nice barrier, gave me a lovely ride throughout and was strong late. She is well placed in this after confidence from her victory and she stays at the same trip but she will need some luck from a wide draw. She also gets a 2kg weight allowance by taking on the boys and she’s not a big girl but she tries really hard. It would be good to get consecutive wins on her. In race five, I ride KRUSTY for Stephen Brown. He has won two races and one of those was on the dirt when he was prepared for the Darwin Cup Carnival. His runs this preparation have been pleasing. He does seem to get back in the field but stays on late. I expect him to make his presence felt in this. SEARCH SQUAD is my ride in race six, the Group 3 Standish Handicap, for Doug Harrison. He has raced well at Flemington and down the straight without winning. He was disappointing when I rode him last start, back in November but has had a break leading into this and if he finds his best form, he should be thereabouts. Race seven, the Listed Bagot Handicap, I ride ORMITO for Darren Weir and he goes around in the Australian Bloodstock colours. I rode him last time when he finished second at Moonee Valley and he now steps up in trip. He does come into this race nicely at the weights 1kg off the minimum and it looks like it will be run at a true gallop which will suit him. If he finds his European form, which has Group 1 horses around it, he will be winning this. I start in race one, with FAKE for James Cummings and this Sepoy colt goes around in the Godolphin colours. 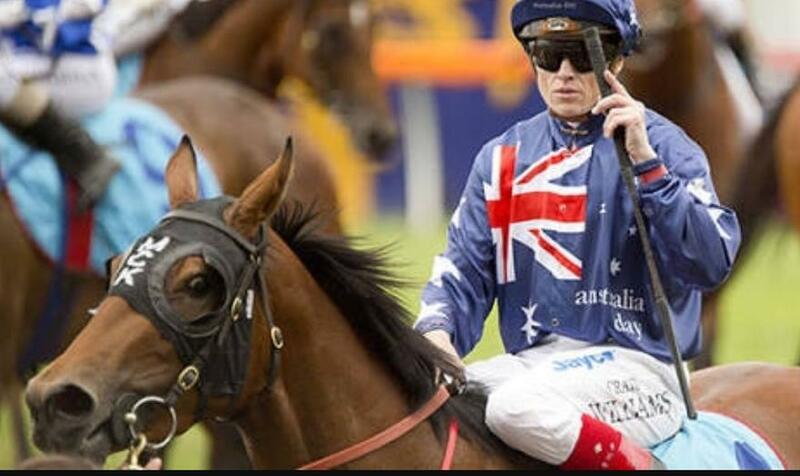 He has had two runs and started his career off in NSW where he won on debut and then came down to the Melbourne and handled himself extremely well going left-handed when running third. He is the most experienced horse in the race, has a nice middle barrier and is the horse they all have to beat. SAVVY BELLE is my ride in race two, for Michael Huglin and he wears the First Light Racing colours. I had my first ride on her two starts ago when finishing third at Moonee Valley where I utilised an inside barrier draw. She is quite an awkward horse to ride as she has a lot of gear on as she can over-race and be ungenerous throughout. She is now stepping up in trip but unfortunately she has come up with the outside barrier draw, so it will be interesting to see what my instructions are and how the track is playing. If she races well for me, she will make her presence felt. In race three, I ride BIRDS OF TOKYO for Luke Oliver. She has been ultra-consistent her whole life and she was races well on top of the ground but her best surface is clearly Heavy going, so if we do get a lot of rain and the track is affected, it will only enhance her chances. I was very pleased with her first up run this preparation. She is quite versatile, so it will be interesting to hear what instructions I’m given. With no weight on her back, and on her best form, she is going to be very competitive. CASQUE is my ride in race five, for Robbie Laing. He has only had one win but he has run extremely well in higher grade. His win did come over 1000m on protest. He has a nice inside barrier and down in the weights. I expect him to be closing the race off nicely. Race six, I ride LITE’N IN MY VEINS for Aaron Purcell. 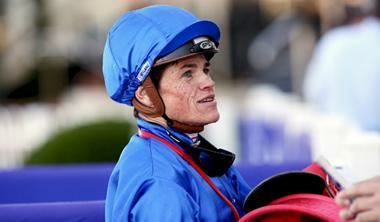 He started his racing career over in WA and has had two runs in Victoria since coming East. He stormed home first up in a Listed race at Caulfield and then he ran over the Flemington carnival where he was disappointing at face value. He has had a break coming into this, has a nice middle barrier draw, is well weighted 1kg off the minimum and if he finds his best form, he will be one of the main chances. ANCIENT HISTORY is my ride in race seven, for James Cummings and he wears the Godolphin colours. He started his racing career in France and since arriving in Australia he was competitive in his first preparation in NSW and this time in he has been racing in Melbourne. He seems to be well placed in today’s race and with luck from an outside draw, he will be competitive yet again. In the last race, race nine, I ride CORAM for Robert Hickmott. I’ve had a few rides on him including as a 2yo and last preparation where I finished second on him at Flemington on Heavy ground. He is a horse that has had a lot racing and been consistent but has only won on three occasions. He does need the race run to suit him and if he does get that and finds his best, he will take a lot of beating. I start in race one, with ANNEKA for Robert Smerdon. I rode her last start over 1500m where she was first up and not beaten far. She will appreciate the step up in trip and on form there is only one horse she has to beat. Hopefully she can get her maiden victory today. RIEL REWARD is my ride in race two, for Cindy Alderson. He is resuming and has a couple of gear changes. Horses that have beaten him home previously have gone on to win in town and even at Group 1 level, so he has he right form. I haven’t been on his back but if he comes into this race in good form, he is good enough to win this on the way to better things. He does get back though and run on, so hopefully the track is playing fairly. There does look to be very quick speed in this, so he might be giving them quite a head start. In race four, I ride SLEEK ACHEEVA for Stuart Webb and he wears the Rockmount colours. He is coming into this second up and has only missed a place twice in his career. He has the blinkers on for the first time, has a widish draw but if the track is playing fairly, he will get every opportunity. He has been ridden on speed and also effectively when ridden back so it will be interesting to hear the instructions and how he leaves the gate with the blinkers on first time. On his best form, he is one of the main chances. I hope everyone had a very Merry Xmas and today I head to Caulfield today for the traditional Boxing Day meeting. I start in race one, with HOT RUBY for Luke Oliver. I have won on her at this track, but it was over 1600m. She has had one go at this distance for a second. She has come up with a nice inside barrier draw and even though she is taking on the boys, she does get a weight advantage off them. It is an extremely small field, with luck in running and if she finds her best form, she is one of the main chances. SERENADE THE STARS is my ride in race two, for Peter Gelagotis and he wears the OTI colours. Since coming over from England he has had really solid form until last start where I rode him and felt he went amiss. He comes into this race with the tongue tie on, so I’m assuming the stable think he choked down on that occasion. If you can forgive that, he has the right form and is one of the main chances. In race three, I ride STORMY SHORE for Ken Fythe. She won two starts ago at the same distance which has seen her win at four times. She has come up with a nice middle barrier draw, she’s not overly big but looks to have a big heart and loves to be competitive. She can come from back in the field or stalk the speed. With the rail out 6m and if the track is playing evenly, she will be competitive in this race. PERUGGIA is my ride in race four, for Darren Weir and he wears the ATB colours. I have had one ride on him when successful at the end of last season on a slow track. He is resuming and with a nice inside barrier draw he is going to give himself every chance. This is a very competitive race, but he gave me the feel of a horse that would be able to step up to Autumn grade. 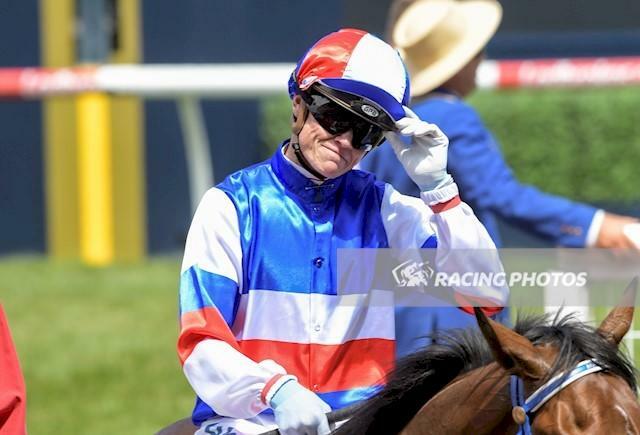 Race five, I ride PONTE ROMA for Robert Smerdon and she wears the Saunders colours. I have had one ride on her when she was successful resuming last preparation. She has had three runs this time in and now comes back in trip to 1100m. She has come up with a nice middle barrier draw and if she finds her best form she is going to make her presence felt. 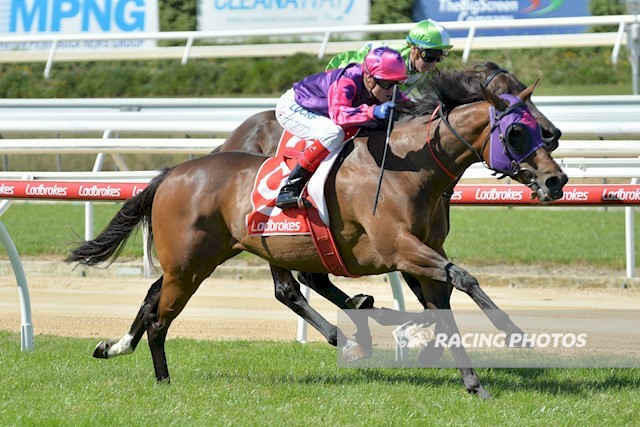 COLDSTONE is my ride in race six, the Listed, Lord Stakes, for Mick Kent. He has been a very consistent horse and he has also won at the track and over 1600m. Today is slightly further being 1700m but he has won at 1800m so there are no worries with the distance. He has a nice middle barrier draw and he seems to meet the same horses yet again. He usually races on speed or not far away, so he makes his own luck. He will get every favour from the draw and he will be one of the main chance in this competitive race. In race seven, the Listed, Christmas Stakes, I ride DEMONSTRATE for my father Allan & brother Jason Williams and he wears the colours of my wife, Larysa, so I have the pressure on. I look forward to riding him for the new owners. He comes into this race with the blinkers off and the tongue tie going on. He has come up with a nice inside barrier draw, so if the track is playing fairly he should get every chance. I’m looking forward to seeing how he measures up in this very competitive race and this will be a good guide to which path he goes down in the Summer/Autumn months. PRAVO is my ride in race eight, for Gwenda Johnstone. He is an ultra-consistent horse, but he hasn’t won for over a year. He has come up with a nice middle barrier draw and rarely runs a bad race. In this competitive race, with luck in running, it would be nice to get him a well-deserved victory. I start in race one, with LA FLEURETTE for Symon Wilde. I’m looking forward to having my first ride on her as she is very consistent and honest, and I expect no difference in this race She does come into this only half a kilogram off the minimum BUT has drawn the outside barrier, however she usually gets back. There doesn’t look to be a lot of speed but if the track is playing evenly she can be the horse to run over the top of them. TRULY DISCREET is my ride in race two, for Dan O’Sullivan. I rode her last preparation as a 2yo where she was extremely new. 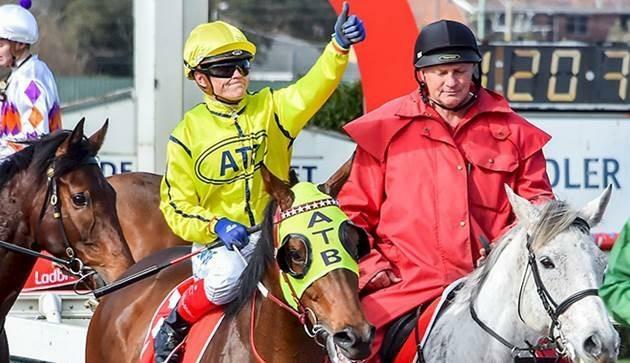 She started this preparation with a victory at Terang and then stepped up to Moonee Valley and found herself back in the field and didn’t make an impression. She is backing up quickly and steps sharply up in trip. She has drawn a favourable gate and if she handles the rise in trip, I expect her to be there for a long way. In race five, I ride ORMITO for Darren Weir and he wears the Australian Bloodstock colours. He started his career off in Germany and this preparation he has improved with every run. He did race well last start in the Pakenham Cup and he finds a very similar field again. He is on the minimum, drawn a wide gate but despite the small field it looks to be a genuine tempo on paper and he should get every possible chance. DOMINO VITALE is my ride in race six, for Colin Little. I have been successful on this mare on two occasions but that was over an extended trip. She is resuming, where she has been placed twice first up. She has drawn wide and this is a very competitive race but if she is in for a good preparation, I expect her to run well fresh. Race eight, I ride MOGADOR for James Cummings and he wears the Godolphin colours. He has competed at Group level and has shown through his career that he is a very capable horse. He has drawn a favourable barrier and he is first up which he has won twice before when resuming. He hasn’t finished further back than second at this distance and he trialled nicely in Sydney leading into this race. On his best form, he is the horse they all have to beat. In the last race, race nine, I ride AMADEUS for Mick Kent. He was very impressive last start winning at Pakenham, so he should derive a lot of confidence from that win. He steps slightly up in trip and he has drawn a favourable barrier. If he holds his form from last start, he is going to take a lot of beating. I start in race two, with SHOOTOUTATDAWN for Wendy Kelly. This 3yo Bushranger Filly is resuming. She was very consistent at her first preparation having placed on a couple of occasions. In those races, she ran behind some horses that have gone on to win or be competitive in town. I have trialled her officially and more recently unofficially at Cranbourne leading into this. She has given me a nice feeling and gave me the impression she has come on and did a lot more things right at her latest trial. She is quite versatile, so I do have options, but it will be interesting to see what my instructions are. MARCHING ON is my ride in race six, for Mick Kent. I have ridden him at his last two starts which included a dominant win in weak company last start. He had the blinkers on last start for the first time, which clearly did the trick. I expect the horse to have come on and think he is a nice staying horse in the making and he should be hard to hold out again. My only ride is in race two, on SHALLOTI for Wendy Kelly. This Hard Spun gelding is on debut. I have trialled him officially at Cranbourne where he was successful and since then I rode him in an unofficial jumpout at Cranbourne and I have been pleased with his progression. He is a horse with very nice ability and he has come up with a favourable barrier. If he brings his trial form to the races, he is the horse they have to beat. Racing is at Sandown today on the long course, Hillside and the rail is out 12m. I start in race one, with BLINKY O’REILLY for Levi Kavanagh. I rode him last start when he finished fourth at Bendigo and now he steps up in trip and has drawn a more favourable barrier. The other day he raced wide without cover and stayed on well for the run he had. The step up in trip and barrier draw should make him extremely hard to beat and it would be a nice way to win his Maiden with a victory in the city. VILLA ROSA is my ride in race four, for Aaron Purcell. She was scratched from Moonee Valley on Friday night where she drew an outside gate. She has drawn much more favourably today, and she is also back to her favourite trip where she has won twice before. It is a competitive race but on her best form she will make her presence felt. In race five, I ride SEA SPIRIT for John Sadler and he wears the Waratah Thoroughbreds colours of Paul Fudge. I rode him last start, which was his second run back after two years off the scene and I was really pleased the way he felt. He has had his runs spaced, has an inside barrier draw, steps up in trip and if he has come on from his last run, I expect him to be one of the main chances in this competitive race. GRAND CASINO is my ride in race six, for John Sadler and he also goes around in the Waratah Thoroughbreds colours. He is a 3yo taking on the older horses and he gets out to a trip that should suit him. He has drawn a wide gate, but he is a horse that gets back and closes off well. If the track is playing evenly, and the pattern will be established by this race, I expect him to be closing off solidly. In the last race, race eight, I ride SIMPLY INVINCIBLE for Peter Morgan. I did ride him at the end of his last preparation which had come to an end, but I thought he was solid and consistent like always. I have trialled him leading into this at Cranbourne and since then he had another trial at Tatura that he won in good style. He is a horse that races on speed, makes his own luck and after two solid trials, he is the horse they have to beat. I start in race one, with ENNIS HILL for David & Ben Hayes & Tom Dabernig and she wears the Coolmore colours. Her mother is Hips Don’t Lie and I was successful on her when she was a 2yo, so I’m looking forward to riding her progeny. In her trials, she seems very natural and well prepared and I’m looking forward to seeing her under race conditions. She has come up with a wide draw and it will be interesting to see what the pre-race instructions are. FOLK SONG is my ride in race three, for David & Ben Hayes & Tom Dabernig. She has only had two starts for a second on debut and then a win at her most recent start. She has shown ability and was impressive when controlling a small field from the front and clearing away last time. She now steps up in grade and has a widish draw. It will be interesting to see how the track is playing with the rail out so far and what my instructions are. In race five, I ride SNITLEWOOD for David & Ben Hayes & Tom Dabernig and he wears the Darby racing colours. He is a horse that usually finds his best form over an extended trip, which he gets to now. I felt his last start was a forgive run due to the soft ground and he will need to have come on but he is getting out in trip and has a favourable gate. SERENADE THE STARS is my ride in race six, for Peter Gelagotis and he races in the OTI colours. He is an imported horse that started his career in England. Since arriving in Australia he has been very competitive where he won his first start here and then last time out he ran third. He has won at this distance at his only other attempt, he has a favourable draw, should be peaking fourth up and he should be hard to run down. Race seven, I ride MUBAKKIR for Bill Papazaharoudakis. He is a South Australian horse but his three runs this preparation have been in Melbourne. He has been competitive, won at the distance and has come up with a very favourable barrier draw. This looks to be a high-pressure race and the barrier draw should give him every opportunity. He is a tough horse and he should get the right run and be hard to beat. MANOLO BLAHNIQ is my ride in race eight, for Tony Noonan. As a 3yo he competed in Group races and first up was narrowly defeated by Club Tropicana at Sandown. He trialled well before that, has raced well, has a nice middle barrier draw and is on the minimum. It would be great to get him his second win. In the last race, race nine, I ride CLUB TROPICANA for Mathew Ellerton & Simon Zahra. If Manolo Blahniq wins the race before, I will be very happy and the form of this horse will be franked. She is only a lightly race mare and has been very consistent winning her last two. I was very impressed with her last time when I won on her. She now steps up slightly in trip and has barrier one. She can be a bit nervous in the barriers but if I can keep her happy and she produces the same performance as last time she will make it three in a row. I start in race one, with SIA for David & Ben Hayes & Tom Dabernig. She will appreciate stepping back from Listed grade into this, she gets in 1kg off the minimum and has come up with a favourable barrier. There looks to be nice pressure on paper and she should get an economical run and looks to be one of the main chances. DAVIDBOOM is my ride in race two, for Henry Dwyer. He is on debut and I haven’t ridden him in any of his work. He did appear to trial nicely at Cranbourne and from an inside barrier draw he should get every chance. Half the field is having their first start so it will be interesting to see how they perform. In race three, I ride DIAMOND BOW for Wendy Kelly. She has only had two starts where she ran second on debut and I was successful on her last start at Sale. She steps up slightly in trip which I think is a benefit and I was very impressed with her performance last time out. She does take a bit of riding to get her motivated but once she got into full flight, she showed great strength. I feel she is above average and if she handles Moonee Valley she will be very hard to hold out in this competitive race. MR CHURCHILL is my ride in race four, for Greg Eurell. He is a very competitive horse and I was very impressed how he closed off last time. The step up to a trip that he has won three times at, is an advantage as well as drawing the inside. The rail is out this evening and it will be established by this race if it is suited to be on-pace. I expect him to be the horse they all have to beat. In race seven, I ride FINE EMBERS for Dan O’Sullivan. His best form seems to be when there is cut in the ground so I believe the cushion of the Moonee Valley surface suits him. He has come up with a wide barrier but there does look to be a lot of speed on paper and if the track is playing evenly I expect him to be staying on strongly at the end. I start in race one, with ANNEKA for Robert Smerdon. This High Chaparral Filly has only had one start where she finished last at Sandown. She is now resuming and has had a couple of trials under her belt. She finds herself in a small field and kicks off over 1500m. She has drawn the outside and hopefully she has a much-improved performance. ALNAAS is my ride in race two, for David & Ben Hayes & Tom Dabernig and she wears the Shadwell colours. She has had two race starts for a third and a second at her most recent start. She has got back in both her races and closed off well. Again, she has drawn wide but it is a small field and she looks to have their measure. I expect her to be winning. In race seven, I ride RAINDROPS ON ROSES for David & Ben Hayes & Tom Dabernig. I rode twice at the end of her last preparation over an extended trip of 2400m. She resumed this preparation with a nice closing off effort over 1500m. She now steps to a more suitable trip, gets a nice middle barrier and I expect her to be very competitive as she usually is. I’M ABLAZE is my ride in race eight, for Wendy Kelly. He is resuming and he has been successful first up in the past and this looks to be his favourite trip. I have trialled him leading into this run and was extremely impressed with his trial at Cranbourne. If the track is playing evenly and horses can close off, I expect him to be the horse they have to beat based on his trial. Today I head off to Racing.com Park for their feature meeting of the year, the Pakenham Cup. I start in race one, with VALENTE for Robbie Laing. He’s only lightly raced and at his most recent start he won at this course and distance but that was on the synthetic track. He is resuming and now goes to the turf surface. It is a competitive race and this will give us a good indication to where he’s at. GET THE PICTURE is my ride in race three, for Stuart Webb. As a 3yo, he was one of the early favourites for the Derby and this preparation he has improved at every run. He is coming into this race with confidence after winning last start in Adelaide where he had the minimum weight.He is now down in grade, up in weight and has confidence from the run and the distance will suit him. He is a horse that gets back and closes off late and this race looks to be void of pressure up front but on his day, he can sprint as well as any of these. In race four, I ride ANGRY GEE for Jerome Hunter. He has had one start this preparation and I feel the form from that race will put him in good stead for this. I have had one ride on him and liked the way he closed off. He is a big strong horse but quite versatile as he can be effective on speed or ridden back.I will have to manage his speed as he can take hold in a race and it’s important he doesn’t burn petrol early and has plenty left at the end. This is an extremely competitive race but on his best form he’ll make his presence felt. CARRAIG AONAIR is my ride in race six, the David Bourke Memorial for David & Ben Hayes & Tom Dabernig and he wears the ATB Colours. I’ve had four rides on him for two wins and two seconds so I have a really good understanding of him. At his latest run, over the Flemington carnival when he finished second, I had to use him up early and he was very gallant over the extended trip. He’s come up with an inside barrier draw, goes up grade and down in weight and I expect to get an economical run and take a lot of running down. Race seven, the Listed, Pakenham Cup, I ride DARABAD for Robbie Laing. This Dansili gelding is extremely fit as he is stepping back from two miles where he made all the running last time and wasn’t beaten far. He is a very strong horse and has good stamina. He is on the minimum weight and there does look to be a bit of pressure but if he finds his European form and holds his form from last start, he should be there for a long way.